Within the first few seconds of meeting, people form opinions about you based on your appearance and behaviour. What does your personal image says about you? Is your personal image representing the true you? It is important to wear the right outfits, colours, styles and attitude to achieve your best look. In addition, it is essential to wear the right mind-set about your self-image because the way you see yourself will have a mirror effect on how others see you. At Image Mastery International, we empower you to look great, feel your best and increase self-confidence with our comprehensive suite of services. Through proper grooming, wardrobe, and composure, you will project your finest image and unique personal style to create greater opportunities and improved relationships. Take the first step by exploring these systematic steps in each of our customised programs. Colour Analysis is the start of an exciting journey, in which you discover and create your own personal style. You have a unique skin tone and eye colour, which means some colours make you look great while others have completely the opposite effect. 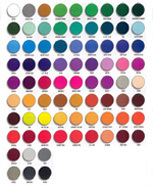 Colour Analysis shows you the specific colours that most enhance your natural colourings, i.e. your skin, hair and eyes. Colour is the first thing people noticed about you. 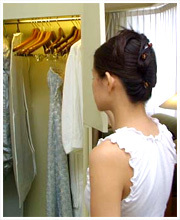 It is the first step to dressing successfully. Wearing your best range of colours will make you look younger, attractive, radiant and gives you a renewed sense of confidence while wearing unflattering colours will make you look older, tired and pale. These facts make the discovery of the colours that work best for you an essential component in an image management program. Whether as a stand-alone consultation, or as part of The Complete Package (many clients go on to complete Style & Figure Analysis and Make-up & Grooming packages), Colour Analysis is one of our most popular packages and will give you the ability to choose the perfect outfit and accessories for all occasions. At Image Mastery International, we use an updated method based on the Colour Theory to classify men and ladies into six (rather than four) groups: Light Warm and Light Cool, Deep Warm and Deep Cool, Light Muted and Deep Muted. § Discover your personal best range of colours for your clothings, cosmetics, hair and even accessories that most compliment your natural colourings so you always look great, younger and slimmer be it in casual or professional clothes. § Gain confidence and create positive first impressions for all occasions through the harmony and effective use of your best colours to appear attractive, radiant and youthful. § Save time and money by gaining in-depth knowledge on what colours work best for you and avoiding expensive mistake of buying wrong colours for your clothings, cosmetics, etc. § Enhance your career as you discover how to maximise and enhance your career prospects, whether it means to shine in an important interview, land that promotion or simply getting a healthy pay rise. Style & Figure Analysis builds on what you learn from your Colour Analysis consultation, and is the second stage in your journey of discovery. It is a misnomer that only skinny people looks good. Once you understand your own body structure, scale and proportion, you can also dress to look attractive and have your own personal style. We will teach you practical skills on how to find clothes that suit your body shape, to accentuate the positive and hide the flaws, and how to create the silhouette that most appeals to you. Style is the expression of your inner self through your outer appearance. What you wear makes a statement about "who you are" - your personality, profession, status, attitudes etc. In this personalised consultation, you will learn about your very own wardrobe personality so you can dress to reflect your lifestyle and unique personality. § Identify your body shape and learn to recognise which clothing design, styles and fabric most compliment your bodyline so you can camouflage your figure flaws and accentuate your strengths. § Learn the language of clothes and discover your wardrobe personality and dress to reflect a style to call your own so you can save time and money by gaining practical advice on what styles work perfectly for you and eliminate costly mistake of wrong styles. § Know your face shape and learn how to choose hairstyles and eye wear to enhance your best features. § Learn the secrets to choose and use the right accessories such as handbags, necklaces, bracelets, earrings, belts and brooches etc. to complete the look. § Understand the Professional rules of Dressing so you have complete control over the impression you want to create. § Build a workable wardrobe by learning effective wardrobe management techniques that works for you according to your budget and lifestyle. Complete your journey of discovery with your Make-up & Grooming consultation. Let's face it; make-up does wonders for your face. Colours brighten up the entire face and shows that you are ready to take on the world. A bare face or bedroom face is good only for the bedroom. We will show and coach you how to expertly apply make-up with basic cosmetics and makeup tools so that you can create a simple 5 to 10 minutes makeover that presents your best face forward every single day! We will also show you a sensible skin care regime for your skin type so you can achieve glowing skin which is the cornerstone of good make-up. To complete your look, you will learn how to use hair accessories to create chic and fuss-free hairstyles for work and other occasions. § Project confidence and create positive first impressions for all occasions through the harmonious and effective use of your best colours in your make-up to appear attractive, radiant and youthful. § Learn make-up techniques to achieve a lasting daytime look and discover useful tips to look 'finished' rather than 'made-up'. § Discover how to create a stunning new look to enhance your confidence level. § Understand the fundamentals of proper skin care routine and to identify your suitable skin care range to achieve the "flawless complexion"
The above Etiquette consultation is the start of another exciting journey, in which you discover how to create visual poise and elegance and how to behave and communicate like a winner. Deportment is a manner of personal conduct and includes how you walk, sit and stand. You may be inclined to think that a person is dejected or has no confidence if he/she walks with chin down, eyes looking at the floor and dragging his/her feet. Your posture and body language speaks a lot about the state of mind you are in and impacts your image as image goes beyond what you wear. In this package, you will learn the proper way to walk, sit and stand to leave positive impressions at all times. 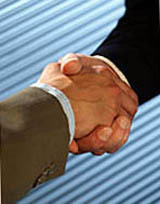 Professional courtesy develops successful business relationships. If you stop and think how the other person is likely to receive your communication, or respond to your behaviour, you will go a long way towards preventing misunderstandings and not giving offence. It will also help to build rapport and strong personal relationships that are so vital to an individual and an organisation’s success. Wrong body language, awkward introductions, lack of consideration, a poor sense of occasion and cultural ignorance leave a negative impression. It is assumed that you are lacking in people skills, sophistication and even global perspective. This sabotages both your business rapport, your career and job advancement, irrespective of your qualifications and expertise. You will receive comprehensive education and master techniques to conduct business effectively. You will learn how to make business introductions, proper address of VIPs and guests and become attuned to social cues and to manage and address the inevitable cultural sensitivities that arise in the course of business. § Polish your social & business etiquette skills to maximise your greatest potential for personal and professional success. § Learn about deportment and how you can enhance your visual poise for that added poise and confidence. § Understand all about social graces and business etiquette including how to make proper introductions, proper handshakes and proper address of important guests so you can dazzle your guests and leave favourable first impressions at all your times. § Pick up in-depth knowledge on office and meeting protocols so you know how to conduct yourself professionally to leave favourable first impressions. § Create positive first impressions by using body language positively for effective communications and to foster strong business or personal relationships. Complete your journey of discovery with your Dining Etiquette consultation. The way you eat demonstrates your manners and can either leave a good or bad impression be it socially or professionally. It shows the kind of person you really are. Many business deals are also concluded over a meal but successful business entertaining is more than simply making the reservations, turning up for the meal and talk shop. With a personalised Dining Etiquette consultation, you will learn successful dining skills and table manners, the art of handling difficult foods so you do not need to re-live the dining scene of a flying escargot in ‘Pretty Woman’. You will also learn how to effectively conduct business over lunch or dinner. § Know the As to Zs of Social and Business Entertaining including seating guidelines and how to be a wonderful host or appreciative guest. 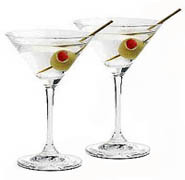 § Learn about cocktail etiquette, table manners in Chinese & Western dining, using your silverware, the American and Continental Styles of eating and other dos and don’ts so you can navigate any social or business settings with ease and confidence. 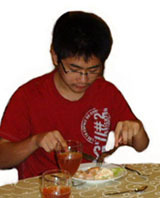 § Learn how to eat challenging foods with ease and confidence to always leave a positive first impression. How many times have you stood in-front of a wardrobe full of clothes and exclaimed "I have nothing to wear!" If this is you, you need a new perspective to get a wardrobe that works for you. A wardrobe is like an investment portfolio - it should be reviewed regularly to ensure it is performing. Wardrobe Audit & Management is a service where you will get a personal home visit from us to show you how to plan, organize, mix and match to create many fabulous combinations to stretch your budget and get a "working wardrobe". Old favourites can be given a new lease of life when you know how. § Plan for future; identify what are "must have" new items to invest to complete your "working wardrobe" that suits your figures, natural colouring, personality, lifestyle and budget. § Receive helpful tips on how to manage your wardrobe effectively and how to budget effectively for future purchases. Personal Shopping is a service where we will take you on a shopping trip to find the right clothes for you, depending on your purpose, budget and time. You will be assured that with our help, you will be saved from buying things that do not suit you. Now, every item will be a successful purchase and a good investment whether the purpose is to compliment or supplement your existing wardrobe, for a job interview or for a special occasion. We are here to help you use your time efficiently and to choose the best possible clothes for you and your style. Please note: Personal Shopping works best after you have done Style & Figure Analysis. § Take the guesswork out of how to pick clothes that best suit your body shape, natural colouring and budget so that you don’t end up wearing them only once or twice. § Gain advice and recommendations for successful purchase of special outfits for your special occasions. Your appearance, style and behaviour determine how others perceive you. Your image is your personal trademark. The ability to distinguish yourself is a key to success in today's competitive globalised economy. By understanding the rules of style, you can be assured that be it socially or in business, your image will always work for you. Our personalised Men’s Image consultation helps you to discover the style and clothes that best suit your shape, build, personality and lifestyle – so you learn to shop and dress formally and informally with total confidence to create a positive first impression at all times. § Discover the secrets of how to create the right impression whatever the situation - so you achieve the right look and impact to create a favourable impression both socially and professionally. § Learn the rules of dressing, the language of clothes, the advantages of authority dressing and how to wear casual clothes. You will learn all the guidelines on jacket suits, vest, shirts and ties and how you can combine colours and patterns that will look best on you based on your body structure and face shape for maximum visual impact. § Become an expert buyer giving you the skills to dress to compliment your lifestyle and personality so you can always project the right image, mood and style suitable for every occasion. Designed for the graduating student, My Personal Best is a personalised 12-hour, 3-part Jumpstart Program that combines all the essential Image & Etiquette elements including Colour, Figure & Style (for ladies) or Men's Image (for men), Make-up and Etiquette that will help you be more confident, self-assured and ready to compete successfully in today's competitive business world. My Personal Best will jumpstart your professional success by giving you practical tips on your personal style, poise and body language to help you create a positive, lasting first impression. You will also learn how to dress right for interviews, pick up effective conversational and personal skills that are critical for personal and professional success. As a special treat, two (maximum) friends can do this program together for only S$650 each. Children who are well-mannered are generally more popular and welcomed at functions and have a far better time. Manners make all the difference and the importance of early training cannot be overemphasized. Our children's success in life is directly related to what we instill in them as they grow up. It may be something as trivial as knowing how to introduce themselves to grown-ups, showing respect for others or even which glass and fork is appropriate to use. Etiquette 101 for Children and Teens is a deportment and etiquette workshop especially designed for children and teens between the age of 10 to 18. We stress the importance of having children and teens understand the concept of mutual respect and to help them achieve their maximum potential by building confidence in their social skills from young.